CLEAN ORGANIC PLANT PROTEIN. RAISING THE BAR IN HOW PLANT PROTEIN SHOULD BE! 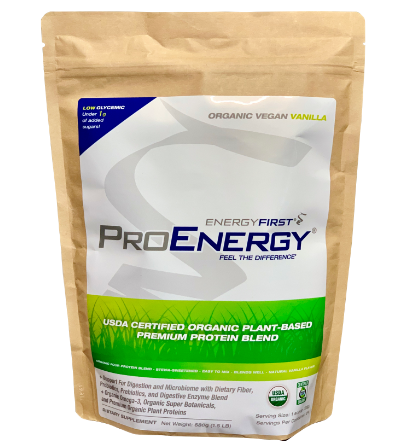 Vegan, Organic Plant Based Protein Blend is perfect for those who are looking for high quality sources of non-allergen based protein. 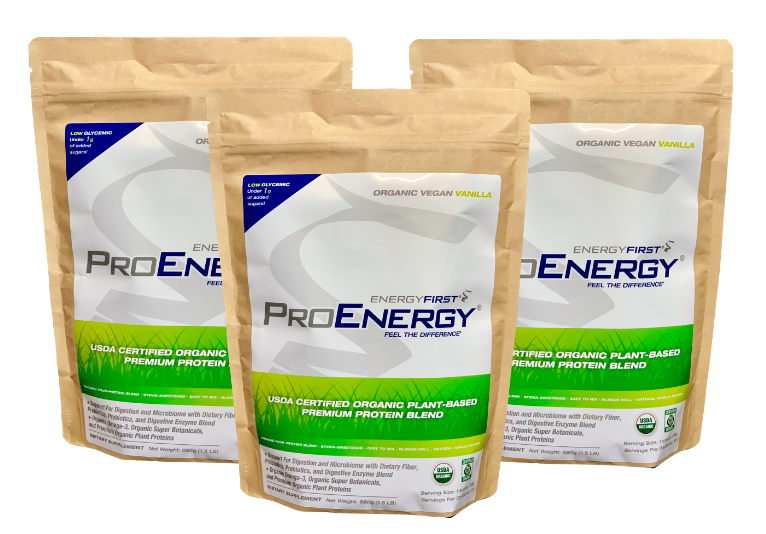 Ultra clean sources of protein include a specialized blend of high quality proteins: Organic pea protein, Organic chia protein, Organic Cranberry protein & Organic Pumpkin seed. RAISING THE BAR IN HOW PLANT PROTEIN SHOULD BE! Different proteins have different absorption rates in the body. This is important as research has shown blends of proteins provide greater muscle building stimulus than a single source. The reason for this is due to the varying absorption rates of proteins based on the composition of the protein and overall amino acid profile. 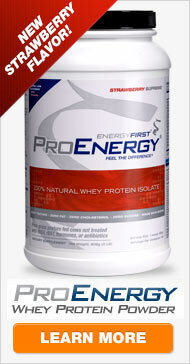 Combining proteins creates a more favorable amino acid supply (greater utilization) in the body for greater periods. A blend is best. Will it stimulate muscle recovery similar to dairy? A question which has been asked is if non-animal based proteins can provide the same muscle recovery benefits as dairy proteins (whey, casein). The answer is yes! Based on research from the journal of International Society of Sports Nutrition, vegetable pea proteins can be used as an alternative to whey based products since both whey and pea produces similar increases in muscle thickness & strength. Similar to whey, pea has a favorable amount of branched chained amino acids- a key regulator in muscle recovery, growth and optimal performance. This creates a perfect product for those wishing to avoid dairy. 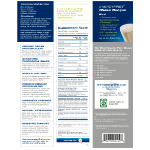 Organic flax meal is added for overall health. Not only is this seed high in omega 3 fatty acids & fiber, but it is also high in a lesser known health superstar known as lignans. Lignans are antioxidant powerhouses- these compounds have the highest antioxidant (ORAC) value than any other fruit or vegetable. Useful for: reduced levels of LDL (bad) cholesterol, cardiovascular disease, colon health, diabetes and others. Organic apple & beet powder couple with the organic protein blend and high antioxidant flax to further support energy and wellbeing. Digestion Support- The missing link? You are not what you eat, you are what you absorb! A missing link in supplemental nutrition is digestion and assimilation. 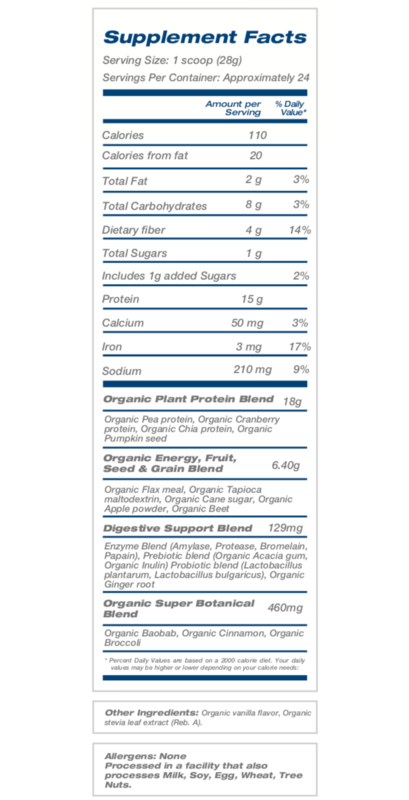 In order to maximize the effectiveness of all ingredients in Organic Plant Protein, a high end enzyme blend has been added to assist in the breakdown of proteins & starches. In addition, both prebiotic fiber and probiotics have been added to assist in optimal digestion of all nutrients and phytonutrients in the blend. Lastly, organic ginger root has been included due to its large affinity to digestive health. A large amount of research is now confirming much of our immunity is in our gut. Maintain gut health from all angles with digestive enzymes, prebiotics, probiotics and ginger root. Added to this botanical blend include organic cinnamon & organic broccoli for overall antioxidant support. Organic flax meal gives this plant protein powder blend a boost of fiber and omega-3 fatty acids. Flax seeds are high in lignans, unique plant compounds that have the highest antioxidant (ORAC) value than any other fruit or vegetable. Research is just starting to tap into the benefits of lignans. They may play a role in improving cardiovascular health, including reducing levels of LDL choelsterol and triglycerides. Organic apple & beet powder also add an extra boost of antioxidants. What on earth is Baobab? Found throughout regions of Africa, this superfruit has one impressive resume. Baobab is becoming more popular for its high nutrient and antioxidant content. It's particularly rich in vitamin C as well as calcium and potassium. You are not what you eat, you are what you absorb! 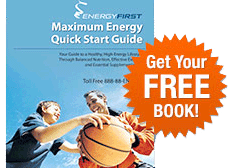 A missing link in nutrition is actually digesting and absorbing the nutrients ingested. In order to maximize what you actually digest and absorb, a high-end digestive enzyme may assist in the breakdown of proteins and starches. A digestive blend, however, is incomplete without probiotics. These healthy gut bacteria and the prebiotic fibers they feed on have been added to optimize digestion. As a bonus, the digestive boost of organic ginger root has been included. The ultimate all-in-one Organic Super Plant Protein formula to energize your health! Feel the difference. 4 g fiber, 15 g protein: perfect to curb hunger for a healthy satisfying snack! Try in unsweetened almond or coconut milk for a delicious shake.